The upsurge in Milan's recent fortunes and form has seen commentators gushing over its players, and even over Milan CEO Adriano Galliani. Galliani suffers an exorbitant amount of abuse when the club missteps--and it has been lurching recently, with the sales of Zlatan Ibrahimovic and Thiago Silva this past summer--but he profoundly cares about Milan. It is dispiriting to think that he has to tolerate censure even for decisions taken by club owner Silvio Berlusconi, decisions that have made him appear at times callous. However, take a look at Galliani's unadulterated joy when Milan score to understand that he refuses to watch games with a dispassionate, admnisterial eye, and how much he is invested in the club. So, he deserves credit now as well. On Sunday, Galliani made an appearance on the sports talkshow La Domenica Sportiva, alongside Milan's newest addition to the senior squad, Bryan Cristante. As Galliani fielded questions that covered a whole range of topics to do with Italian football, one got the feeling that here was a man, finally, able to beam about Milan's 'project,' which has been, in its incipience, acutely painful for Milan fans at times. Admittedly, it is not a simple task to tell fans of a club used to buying the best players that they will now create and nurture them. Further, even the most sanguine Milan fan could not have imagined Stephan El Sharaawy and Mattia De Sciglio would make such an emphatic statement this season. And now Galliani ardently hopes that Cristante can be the latest revelation. 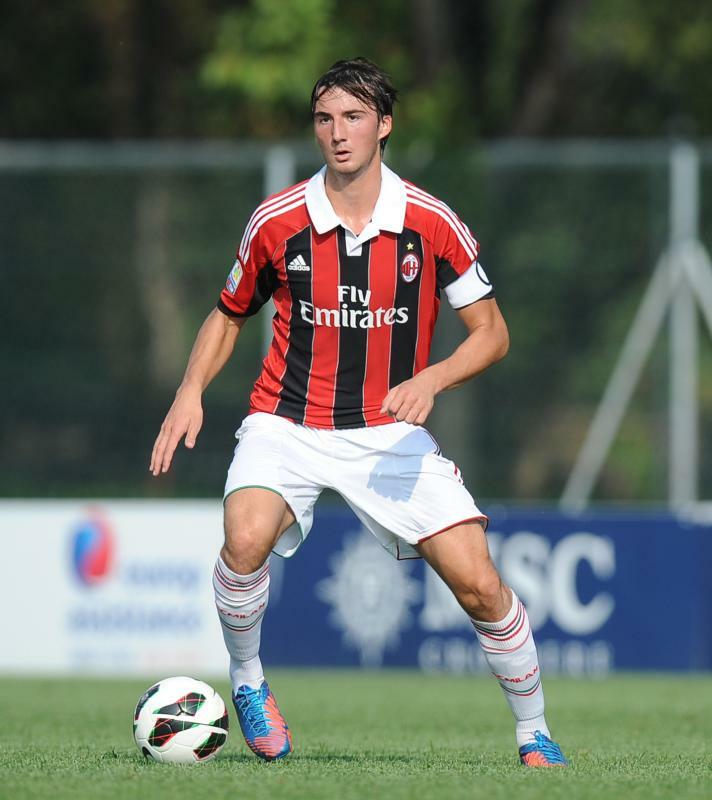 Cristante, who turned eighteen on Sunday, signed a five-year contract with Milan on Monday. The six-foot-one midfielder won the 2013 "Golden Boy" award, which is awarded by journalists to the outstanding player of the Torneo di Viareggio (the youth tournament played annually in Tuscany). Galliani reminded the studio that Gianni Rivera also won the award for Milan. When the panel started comparing Cristante to Fernando Redondo, the Argentine who had a flourishing career at Real Madrid, but who suffered for four years at Milan with injury, Galliani quickly added that Cristante "has more speed than Redondo." When asked who his favourite players were, Cristante said he liked Riccardo Montolivo, whom Galliani praised on the same show as having a tachometer on his feet, and Marco Verratti. Cristante promises a lot. He is an imposing midfielder with notable speed. He made his debut for Milan on December 6, 2011 against Viktoria Plzen in the Champions League, and owes his remarkable ascent into the first team to Milan's new youth policy. "It is very fortunate for us youngsters [that things have changed in Italian football this year]," said Cristante. "I want to thank Mr. Galliani for having trust in me." And so do all Milan fans. Thanks, Hasan. If Cristante turns out to be as good as Redondo or Montolivo, it would be another great victory of Milan's "new revolution".